The Accident and Emergency Department is staffed by experienced doctors with multidisciplinary trainings. The department is supported by resident doctors and nursing staff with special training to handle cases of accidents and emergencies. 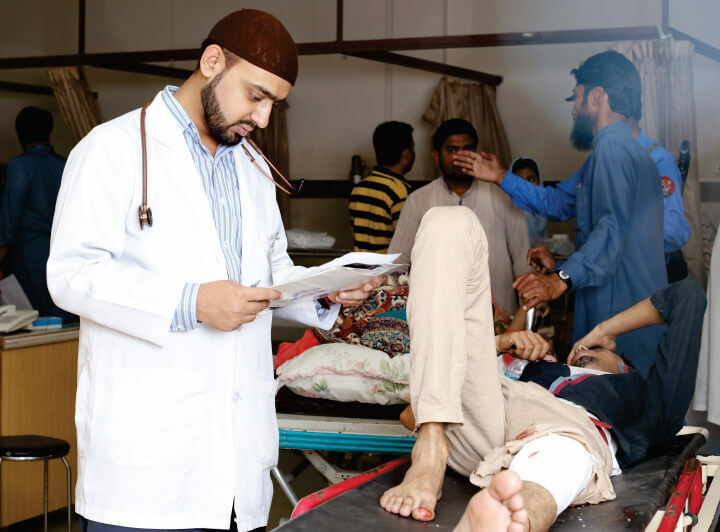 The department provides 24x7 free emergency services and trauma care, with specialists-on-call available round-the-clock from internal Medicine, Cardiac, Monitoring, pulse oximetry, ECG, Surgery, Orthopedics, Urology, Gynecology, Pediatrics & Psychiatry, X-ray, Lab, C.T. Scan and Ultrasound facilities also available throughout the day. The department also offers MRI.